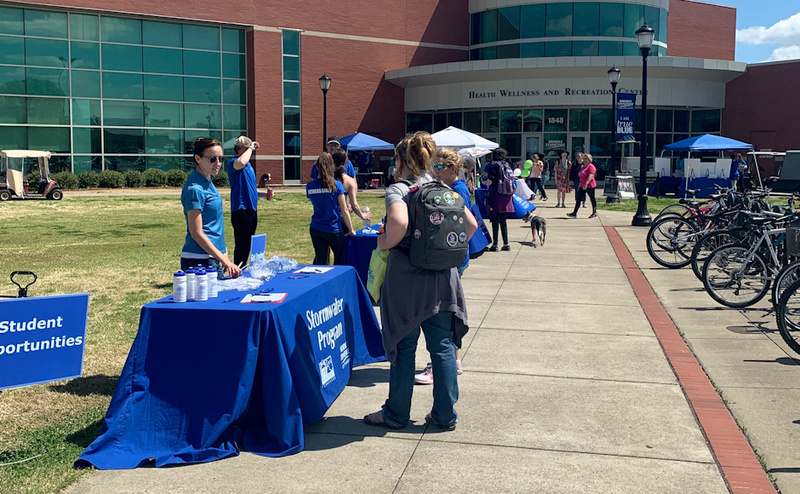 MTSU held its biannual Destress Fest and Health Fair Tuesday, which was hosted by the Health Promotion program on campus. 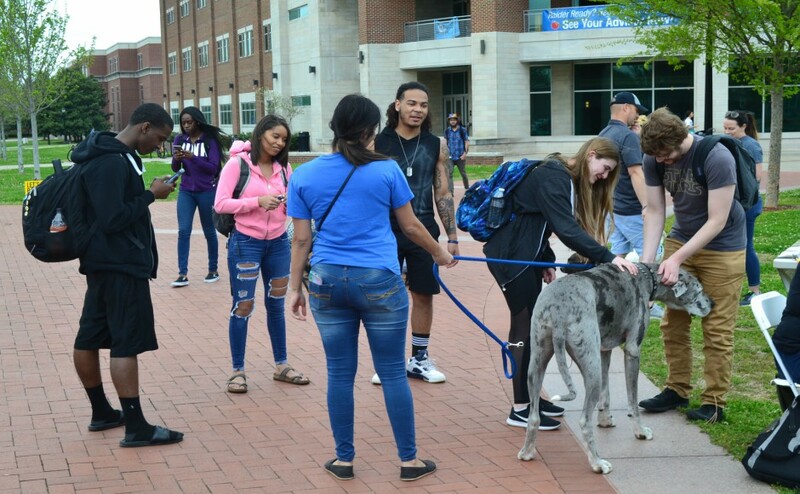 The fair takes place at the end of each semester as a way to help students to decompress and take their minds off of the nearing of final exams. 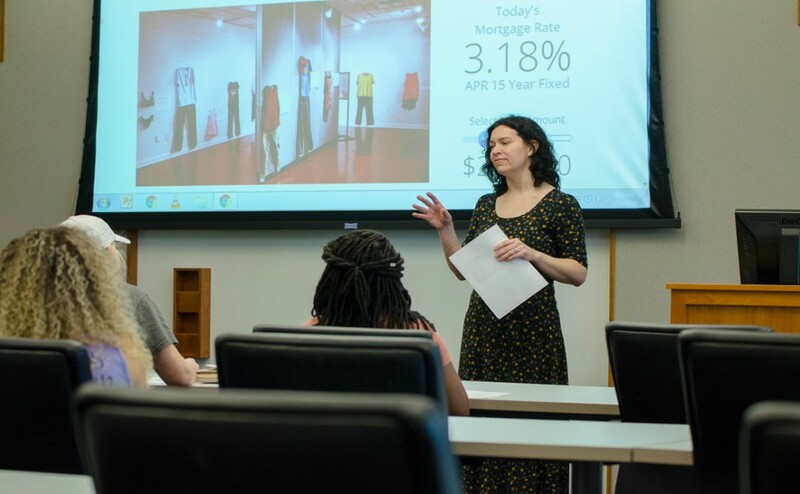 According to the National Alliance on Mental Health, more than 40 percent of college students have felt more than an average amount of stress within the past 12 months, and more than 80 percent of college students felt overwhelmed by all they had to do within the past year. 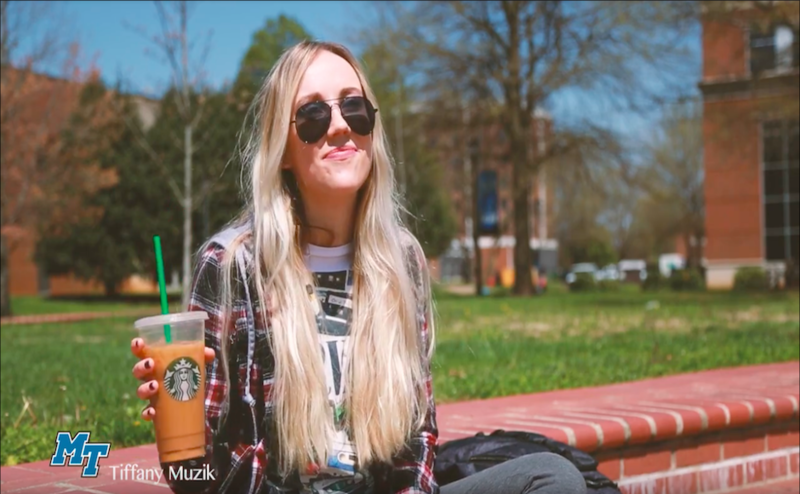 This semester, the program did things a little differently by not only collaborating with various organizations in the Murfreesboro community but also pairing with MTSU’s Recreation Center to help showcase what it offers as well. The fair included both inside and outside booths and activities. 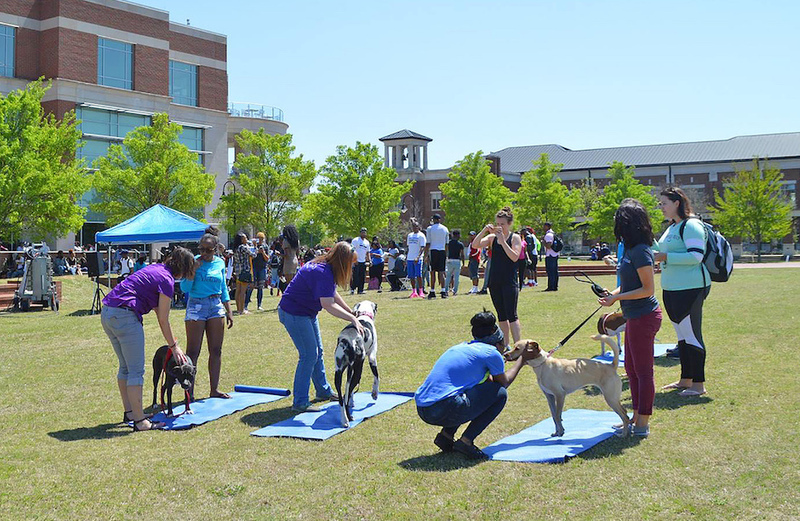 Activities included a photo booth for students, pet and play with dogs from a local animal rescue, an open climbing wall and free healthy food sampling from Aramark and the MT Nutrition Team. Tables were also set up in various locations for counseling, nutritional guidance from Kroger, free fitness assessments, carotenoid palm scans, and bone marrow registry to become a donor. There were even free skin cancer, blood pressure, HIV, eye and hearing screenings. 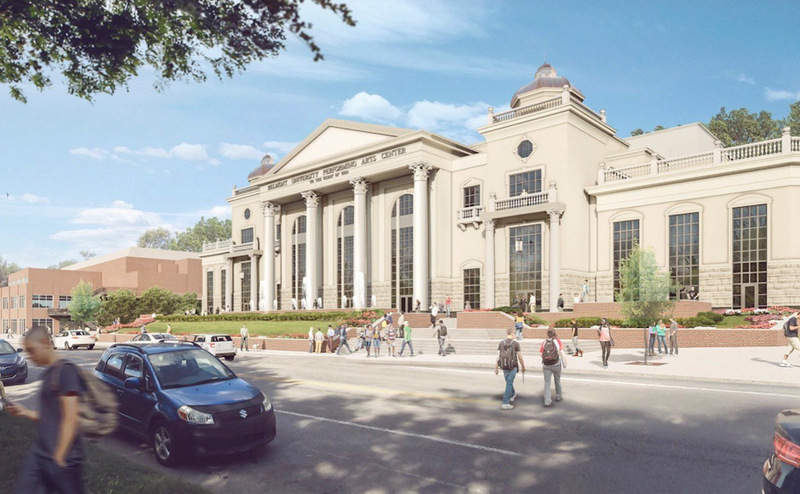 “I think it’s important because a lot of young people aren’t focused on their health and it makes it easier to become focused when you have something free like this at your school,” said senior nursing student Ashley Waggoner. The Health Promotion program looks forward to continuing these events and serving as a healthy outlet for students on campus.